In this drawing session I worked with charcoal pencil, 6B, on smooth paper. In the pencil version, charcoal is not as powdery and blendable as charcoal sticks, but still quite fluid in feeling. It lends itself better to smaller formats, 14 x 11, in this case. ——————————-The drawing at left came from ten minute poses. 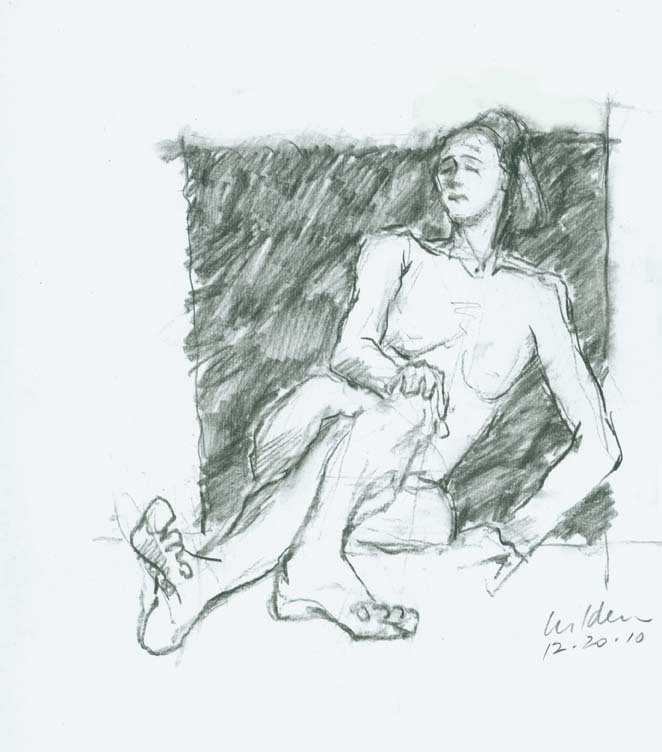 The page of studies was made from three minute poses.